Cabaret Theatre is the dream-come-true of Omaha’s Rebecca Noble. 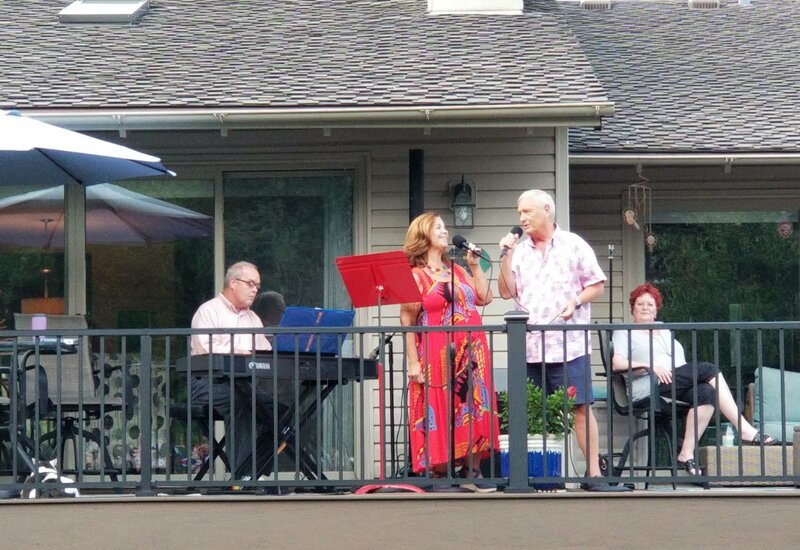 The daughter of a professional singer, Rebecca was raised on the music of Cole Porter, Irving Berlin, and George Gershwin, and the desire to perform that style of music has always been strong. After teaching music and drama for twelve years, Rebecca decided to try her hand at a professional acting and singing career, spending two years on the road in the national tour of The Sound of Music, in addition to regional tours and stock theaters. During that time, she discovered that “cabaret” shows were resurfacing in many of the major cities across the United States. These shows combined theater and music in an intimate, exciting way and usually took place in upscale hotels or clubs. Hoping to bring that type of offering to Omaha, Rebecca approached several hotels in the area regarding the possibility of staging Closer Than Ever, a little-known musical by Maltby and Shire. The Regency Marriott Hotel was favorably impressed with the concept and agreed to allow Rebecca to independently produce the show in Gambit’s Lounge. Rebecca called on three of her favorite singing friends, Camille Metoyer Moten, Paul Tranisi, and Jerry Brabec to join her in offering the Midwest premiere of the show. 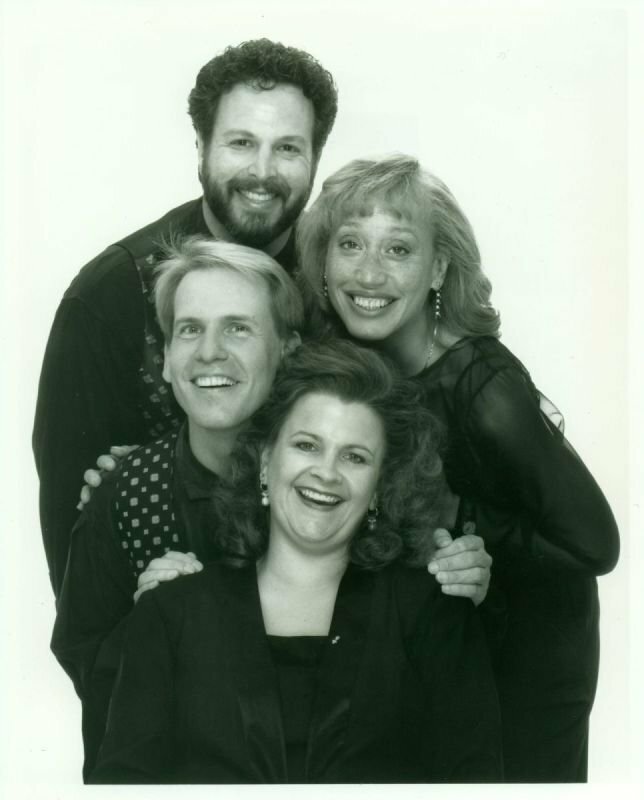 Together, they performed for eleven weekends at the Marriott and in December of 1991, the Marriott asked that a second show be produced. The result was The Nearness of You, an original revue celebrating the nostalgia of the 40s. The rest is, as they say, history. Since the premiere of The Nearness of You in 1991, over 30 additional original revues have been produced. 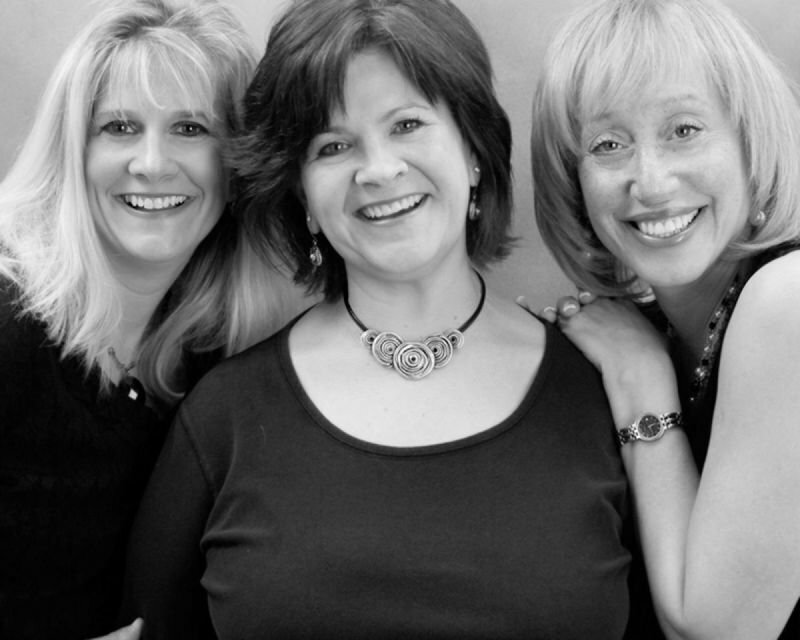 With their superb solo voices and incomparable blend, this harmonic ensemble is equally comfortable with the American Songbook, vocal jazz, Broadway and contemporary cabaret. Cabaret Theatre has performed for Hastings College; Nebraska Press Association; Highland Country Club; Manning, Iowa’s Weinachfest; Hastings Symphony Benefit; Sioux Falls Community Playhouse Benefit; Joslyn Arts Museum’s Thursday Night Live Series; Opera Omaha Guild; Nebraska Medical Association; Omaha Performing Arts Holiday Lights Festival; SAC 50th Anniversary Celebration; the Aksarben Coronation/Ball; Nebraska State PEO Convention; Museum of Nebraska Art gala; Lauritzen Gardens; Cathedral Flower Show; Nebraska Realtor’s Association; and the Lincoln University Club, in addition to a wealth of private parties and company functions. Whether it's interpreting the lyrics of Cole Porter, Harold Arlen, or Stephen Sondheim, their connection to the audience is immediate, evidenced by each nuanced phrase and stunning vocal jazz harmonies. A variety of shows is available throughout the year, including an Andrews Sister salute, a Valentine's Day show, and a yearly Christmas cabaret. 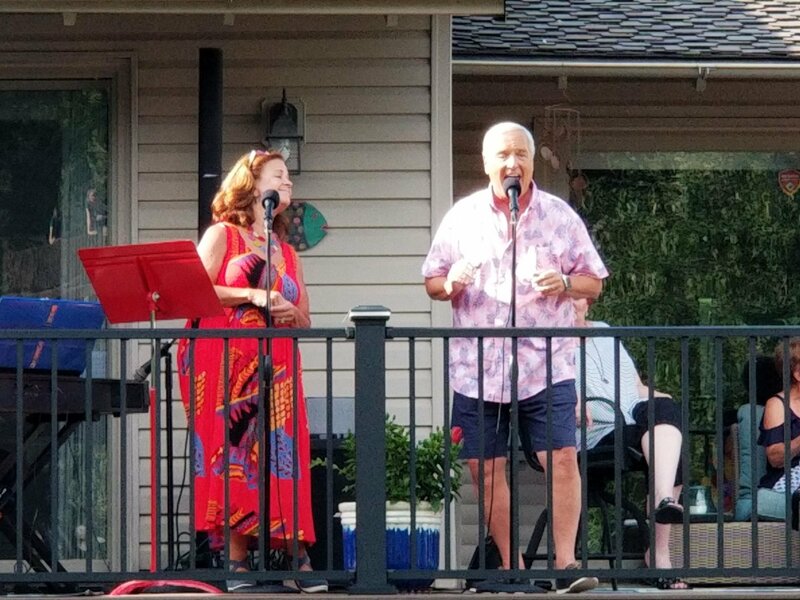 For the past 18 years, Keith and Rebecca have reworked songs for birthday and retirement parties, prenuptial and anniversary dinners and corporate and civic celebrations. Background information about the honorees is provided to the duo, and they work their magic, selecting songs that may have a natural connection, then rewriting lyrics to congratulate and celebrate! These one-of-a-kind performances have entertained families and organizations throughout the Metro area and include the Nebraska Cornhusker coaches, Aksarben King and Queen luncheons, and Chamber of Commerce Hall of Fame inductees. Their creativity sparkled during their tenure as co-directors of the Omaha Press Club Show, as well as writer/directors for the Nebraska Humane Society Gala. 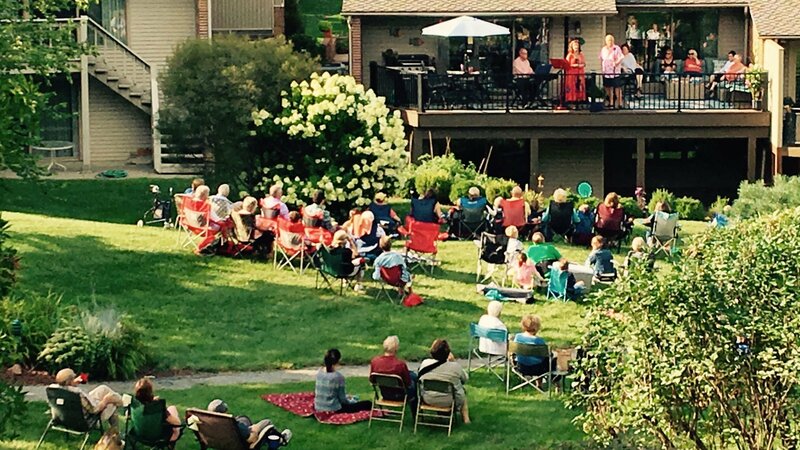 For information on specialty performances, please give us a call! We'd love to be part of your next celebration! Rebecca Noble (Founder/Producer) most recently appeared onstage in the Omaha Community Playhouse production of Parade. Additional Playhouse credits include Hands On A Hardbody (Barbara Ford Award for Best Supporting Actress and Theatre Arts Guild nomination), Sweeney Todd, A Christmas Carol, Our Town, and The Musical Comedy Murders of 1940. At the Sumter Ampitheatre, Rebecca appeared in The Music Man (Eulalie Mackechnie Shinn) and South Pacific (Bloody Mary), for which she was nominated for an Omaha Entertainment Award. She was for seven years the Executive Director of the Dundee Dinner Theatre, where she appeared onstage in Quilters, Baby, A Little Night Music, Nunsense, and Godspell. Rebecca toured nationally in The Sound of Music, and toured the West Coast and Alaska in A Christmas Carol. She was a founding member of Soli Deo Gloria Cantorum, touring regionally and internationally with the group, and a soloist on the group’s final recording. Rebecca sang for four years at Great Woods in Massachusetts, with Maestro Michael Tilson Thomas and the Pittsburgh Symphony. She serves as the magnet facilitator and Visual//Performing Arts Curriculum Specialist at South High Magnet. Keith Allerton (Co-Producer) has been connected to area theatres over the past thirty years as an actor, director, and producer. 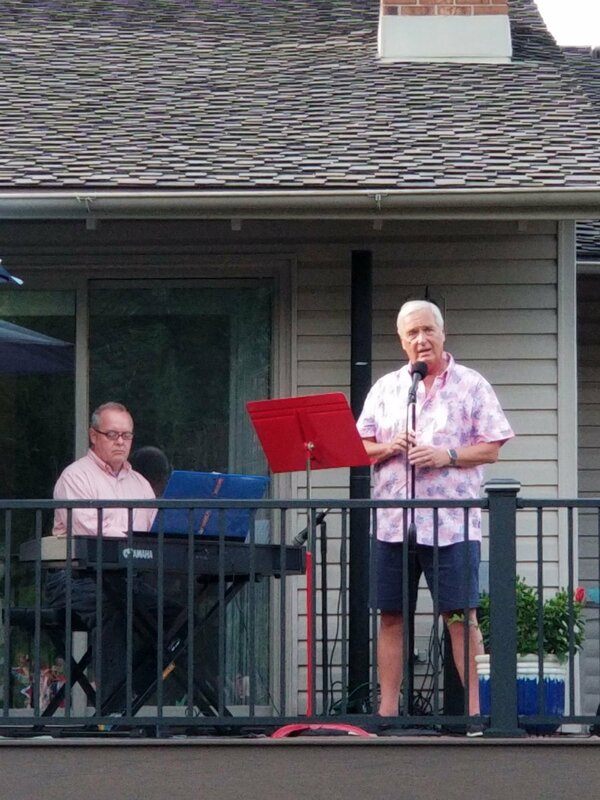 Favorite onstage performances include Joseph and the Amazing Technicolor Dreamcoat and Sweet Charity, both at Chanticleer Theatre, The Music Man for Bluffs Arts Council, A Chorus Line at Center Stage, and A Little Night Music, The World Goes Round, and Baby at the Dundee Dinner Theatre. Keith received awards from the Omaha Community Playhouse and the Theatre Arts Guild for his role as Father Mark in Tony ‘n’ Tina’s Wedding. His directing credits include Jesus Christ Superstar and Foxfire at Bellevue Little Theatre, The King and I for the Bluffs Arts Council, Annie Get Your Gun at Chanticleer Theatre, and Quilt, the Musical for SNAP! Productions. Keith co-directed The Sound of Music and directed The Music Man for the Dundee Dinner Theatre. He is a past president and lifetime member of the Theatre Arts Guild, a past president of Chanticleer Theatre’s Board of Directors, and a founding member of SNAP! Productions. Keith was a co-owner of the Upstairs Dinner Theatre and general manager of the Firehouse Dinner Theatre. 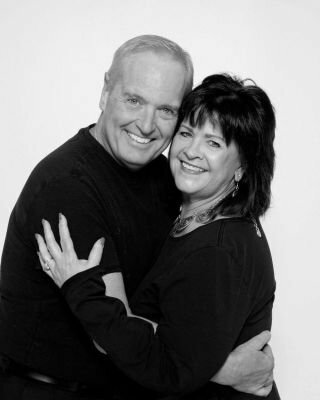 Keith, along with Becky Noble, was co-director of the annual Press Club Show for four years, and is an executive vice president with the Steier Group. Beth Asbjörnson has performed leading roles in such musicals as Annie, She Loves Me, Showboat, Babes in Toyland, Sweeney Todd, Starting Here, Starting Now, HMS Pinafore, The Merry Widow and A Little Night Music. Beth was a member of Soli Deo Gloria Cantorum, Nebraska’s professional chorale, toured internationally with the group, and has soloed on two of the group’s recordings. Beth has been a guest performer in California, Florida, Virginia, Bermuda, Barcelona and Edinburgh, Scotland. She received her musical training at UNL and the Guildhall Conservatory of Music in London. She is a member of PEO, Sigma Alpha Iota and Mortar Board Alumni Chapters. Beth is a board member of the Nebraska Medicine Guild and Heartland Family Services. Beth was honored with a Distinguished Alumni Award from Lincoln East High School. She performed at the Lied Center in the Nebraska premiere of Civil War Voices and also traveled with the production to Gettysburg. She appears on the “Piano One” label and is featured on the CD, Inner Voices. Beth recently released her solo CD, Gratitude, and is beginning work on a new Lullaby CD with Tami Field. Beth is married to Dr. Tim McCashland and proud Mom to Alexandra Beth. She is a private voice instructor. Jerry Brabec is an Ordained Deacon on the clergy staff at Omaha St. Paul United Methodist Church where he serves as Minister of Worship. His responsibilities include the overseeing of liturgical preparation for the congregation of 550. He also serves as choral director for Temple Israel’s Kol Rina. Awarded the Master of Music degree from the University of Nebraska, he studied choral conducting with Dr. Cina Crisara and Dr. Z. Randall Stoope. As a chorister of the acclaimed Robert Shaw Festival Chorus at Carnegie Hall, he sang for five years under the baton of the late Robert Shaw, was twice selected one of six participants in the Alice Parker Melodius Accord Fellowship Program and frequently continues his conducting studies with Ms. Parker during January in New York. Jerry was a member of Soli Deo Gloria Cantorum, touring regionally and internationally with the group. He has worked as visiting music director/vocal coach at the Rose Theatre for the past nine seasons. He also serves as music director for the nationally acclaimed Rose Brigade, one of the award-winning offerings of the “Broadway at the Rose” program. Formerly, Jerry taught at the high school level for the Council Bluffs Community Schools, served as associate artistic director of the Omaha Clarion Chorale, and as artistic director for the Kanesville Chorus and Renaissance Faire of the Midlands. Mitch Fuller has been involved in theatre most of his life. He has performed throughout the country and in just about any space imaginable! National tours include Into The Woods, Pirates of Penzance, Tintypes and Pippin (twice!). Regional theatre credits include Plain and Fancy and State Fair. Mitch received the Theatre Arts Guild (TAG) award for outstanding music directing of Cabaret for SNAP! Productions. He received both a TAG and Omaha Entertainment Award for his music direction of Reefer Madness: The Musical and Spring Awakening, both at Omaha’s Blue Barn Theatre. His five-man cabaret show, Who Will Love Me As I Am? received a TAG award, and created a new category called Special Event! Camille Metoyer Moten is a native of Omaha and graduate of the Xavier University of New Orleans music department. 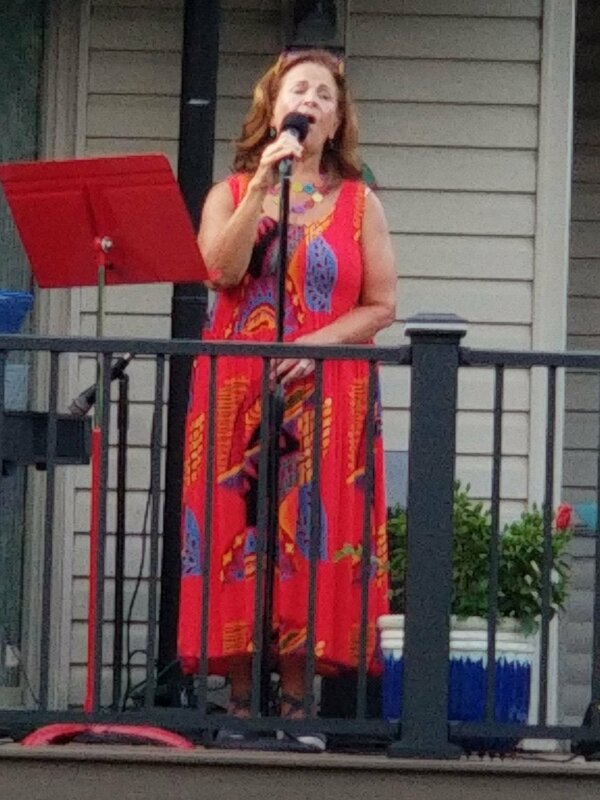 She has been singing and acting in the city and surrounding region for 35 plus years. 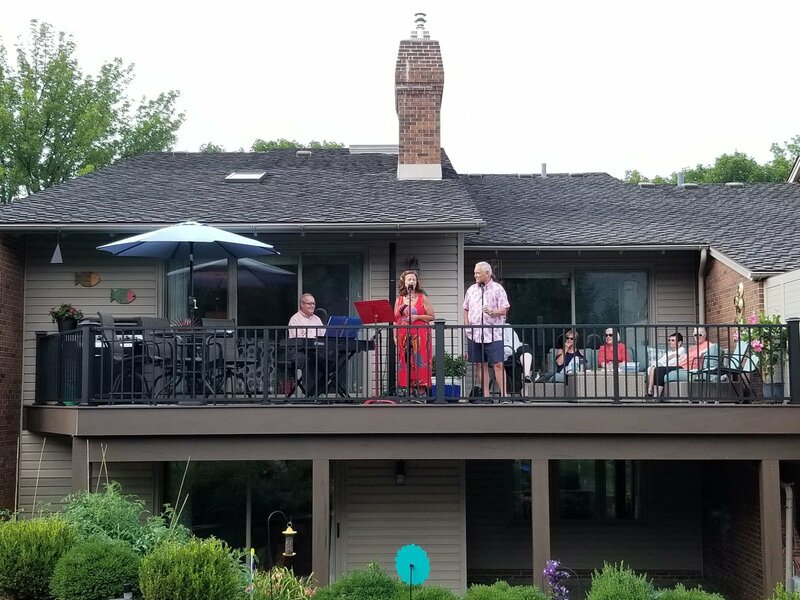 Often described as “Omaha’s most versatile singer” she is an independent singer/songwriter who performs for many special events around the city as a guest soloist; she also has her own pop/jazz band that performs for special events around the state. Her theater performance credits include starring roles in Ragtime, Evita, Funny Girl, Tarzan, Little Women, and Having Our Say. Camille’s musical travels have taken her to cities and towns throughout the region, as well as Barcelona, Spain. She has been the recipient of several theater awards including the Omaha Arts and Entertainment Award, Theater Arts Guild, and Fonda/McGuire awards. Her guest solo appearances include the Omaha Symphony, Jazz on the Green and the Governor’s Arts Ball. She was nominated as Omaha’s top jazz vocalist for 2015, and has been inducted into the Omaha Black Musicians Hall of Fame. Camille has released two cd’s and is in the planning stages of a third. She recently performed a tribute to the music of Barbara Streisand for the Omaha Community Playhouse Gala fundraiser, and again as an encore performance for two nearly sold out performances. She is also a public speaker and has released an inspirational book regarding her battle with cancer. She has been married for 39 years to Bishop Michael Moten and has two children and one son of her son. You can find her music at: www.musicbycamille.com. Paul Tranisi is an accomplished actor/singer. He appeared in the professional cabaret production of Bernstein’s Broadway, produced by Musical Theater Heritage and the national premiere of Wild & Willful Women in Kansas City. In Omaha, Paul performed numerous lead roles in musical theater at the Omaha Community Playhouse. His performances in The King & I, Fiddler on the Roof and The Secret Garden all earned the prestigious Fonda McGuire Award as best actor. Paul has appeared as a guest artist with The Omaha Symphony, Opera Omaha, Edmonton Symphony, Nebraska Wind Symphony, Omaha Ballet, Firehouse Dinner Theater, Emmy Gifford Children’s Theater, and narrated the American debut of Jackson Berkey’s Come Follow Me at New York’s Carnegie Hall. Paul was a founding member of Omaha’s Cabaret Theatre and toured internationally with Jackson and Almeda Berkey’s Soli Deo Gloria Cantorum. His singing and voiceover work can be heard on numerous commercial jingles and studio recordings across the country, including the SDG record label.